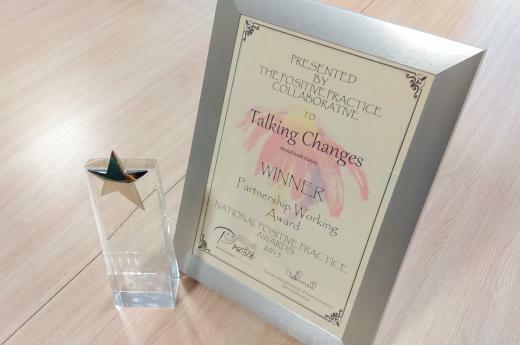 Talking Changes was nominated by the Chief Executive of MHM for a national award in the category of Partnership Working. These are very prestigious national awards with the judging panels including MP’s and Senior leaders in the NHS. There were many nominations and Talking Changes were shortlisted. Donna Swinden, Ian Atkinson and Martin Armitage were invited by the Chief Executives of TEWV and MHM to join their table at the awards dinner at the Hilton Hotel in Newcastle. There were a huge number of people there with representation from all over the country. The fantastic news is that we won the award and are perceived to be one of the best IAPT services in the country. The award is a testament to the hard work and dedication of all our staff.